Now he co-stars with Melissa McCarthy in 'Can You Ever Forgive Me? ', which tells the story of a broke writer who makes money by forging literary letters. Grant plays an alcoholic in the film, which is ironic considering the actor himself is allergic to alcohol. Though Grant has been nominated for a SAG Award and a Golden Globe for his performance in 'Can You Ever Forgive Me? ', he tries not to have any unrealistic expectations for his next role. 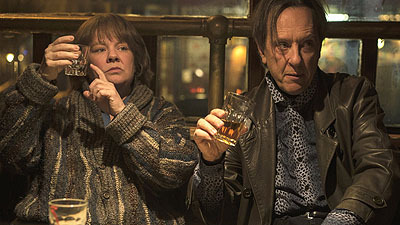 On playing Jack Hock in Can You Ever Forgive Me?, who is an alcoholic "Jack Hock has no violence at all in him. If anything, he is somebody that gets beaten up by people, as happens in the story. So what is autobiographical is that my observation as a kid and as a teenager was that the concentration that alcoholics have or drunks have when they're trying to cross a room and not fall over or bump into things or convince the world that they are sober — that concentration and focus is what I latched onto." On growing up in Swaziland, which became independent from Britain when he was 10 "Because of my father's job, he inculcated my brain from a very, very young age. He said, "Even though you're born here, you are essentially a guest in this country and you have to learn the local language in order to be able to justify why we're here." And he spoke absolutely fluently." "And in 1963, when I began school, it was the first time that black Swati children were amongst white colonial children. So right from my first year at school it was "mixed-race," as it was called then. I wasn't aware in my childhood that there was a division." On how his secondary school in Swaziland has informed his life "I went to a school called Waterford Kamhlaba, and "Kamhlaba" is what the king of Swaziland called the school, because ... in siSwati it means "all the world in one"." "When I was there, there were only 300 students, 27 nationalities and many political dissidents from South Africa had sent their children to be educated in the school, because it was multiracial and multi-denominational as well, so that was the basis of the school and has absolutely informed my whole life."